Can you tell if this Chinese seller of electronics a scam or legit? 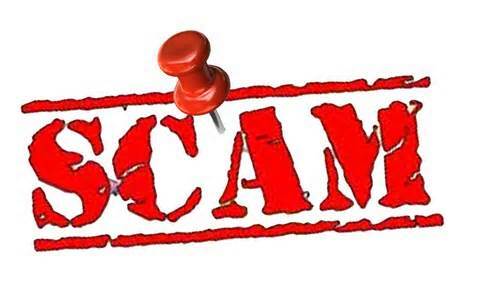 Home» Blacklisted Suppliers » Can you tell if this seller of electronics a scam or legit? Can you tell if this seller of electronics a scam or legit? A buyer from the USA wrote in to ask Supplier Blacklist if we thought the email he received below was a scam or not. 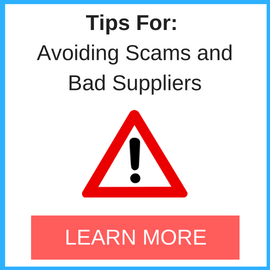 And if you are unsure why, you probably shouldn’t be buying overseas until you have a chance read some of our blog posts about how to avoid scams. Here is the actual email for your reference, what other red flags do you see? Subject: Xiamen XXXXXXXX Trading Co., Ltd. :Apple iPhone 6 plus ,Samsung Galaxy note 4,laptop,table,tv,camera,Hard Disk,Micro SD Card, ect! I’m Mandy come from Xiamen Xinyunhong Trading Co., Ltd. Glad to know you are interested in electronic producs. if you buy 1 pcs iphone 6,you can get 5 pcs in total. ◆If you order $300 or above,free shipping + 10%-20% discount. ◆If you order $500 or above,free shipping + 20%-30% discount. ◆If you order $1000 or above,free shipping +30%-35% discount. ◆If you order $2000 or above,free shipping + 35%-50% discount. Company : Xiamen XinyunXXXX Trading Co., Ltd.
Hello to all, unfortunately I was ripped off with these prices, for an amount of 470USD, that’s why I ask you, if I make my purchase through alibaba.com or Global Sources, will I be safe? Thank you help me a greeting. 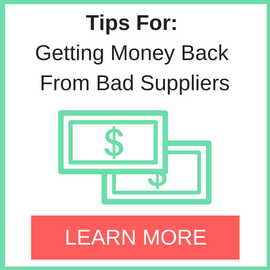 There are good suppliers and bad ones at Ali and GS. It’s up to the buyer to be safe. On the right hand side of our home page you can find some tips on how to source safe. Although not a perfect remedy, I always, well always now, paste the name and address of the company I want to do business with into “www.google.co.uk and if the company comes up blacklisted then I cancell all thoughts of buisness with the named company. So far I have saved myself over $2000 and a lot of humiliation using this simple but effective procedure. Good luck with your future buying. This is an IDENTICAL e-mail that I received from 2 different suppliers, the same exact day, within 2 hours of difference, right after making a ONE and ONLY inquiry for a quotation sent to a “registered & verified supplier” on Global Source website. And I thought I was the only one who almost fell for those e-mails. Would it be possible to make a simple section where victims could be doing some Company Name dropping? This type of Scam has to stop RIGHT NOW… How come those suppliers are still running the same websites, with the same company name, for so many years….according to WHOIS GoDaddy? The above example is the topping on the sundae! I’m angry, ashamed and saddened by THIEVES of that kind. Oh, and I’ve kept ALL e-mails, screenshots and proof…just in case they would have an idea to sue me for blowing the whistle against their scams. Josee, thanks for your comments! If you have not done so already, please list these 2 suppliers on our blacklist and expose them to the world, thus helping others avoid them. Thanks Josee. thanks to admin SBL too for this site has really helped many of us. I call on all those affected, cant we just come up with preventive measures to help buyers? EG establishing an entity to handle all payments until transaction is proved legitimate and genuine? lets discuss.